The owners of this expansive 5-bedroom masterpiece have stopped just short of finishing this project, giving you a very rare and exciting opportunity to own this unique home. Ever thought about building your dream home and been put off by all the hard work and unknowns? Well this property will be sold with a full Code of Compliance, meaning that all of the major works will be completed and the new owner can put their personal touches on this home, to make it their own! The 19.9 Ha approx. of easy rolling country is just a short drive from either Motueka or the small country town of Upper Moutere, and an easy commutable drive to Nelson/Richmond. The dwelling itself is 300 m2 approx. and is constructed to a very high standard, with aerated block walls for great insulation and solid timber beams throughout, creating a real country character feel. 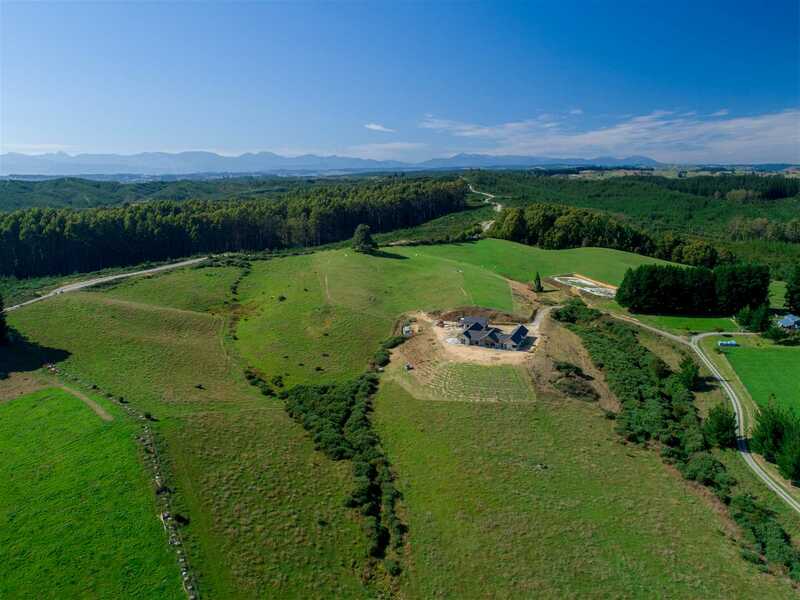 The home is split into two wings - the master wing having a large double bedroom, dressing room, office, ensuite with shower and a stunning bath with views looking out over Kahurangi National Park with Mount Arthur in the backdrop. The far wing of the home consists of 4 double bedrooms and two spacious bathrooms. In the heart of the home you will find a grand open plan kitchen, dining, and lounge, but if you are looking for some peace & quiet, escape to the second lounge and enjoy the rural outlook. Secondary accommodation is provided in a very well set up two-bedroom self-contained dwelling creating room for family or friends, or possibly some additional income. Another great feature of this property is the multiple tracks, rivers and recreation that can be done just a short distance from your doorstep. If you are looking for that special lifestyle property to make your own, contact us now! Chattels remaining: Light fittings, Stove, Drapes,Dishwasher, Rangehood, Bathroom Exhaust Fan, Bathroom Heater, Solar panels, WIFI booster, Electric Fence Unit, Waterpump.